Albie Sachs was imprisoned, tortured and almost killed for his work opposing apartheid. He was exiled but on his return to South Africa he helped write its new constitution. 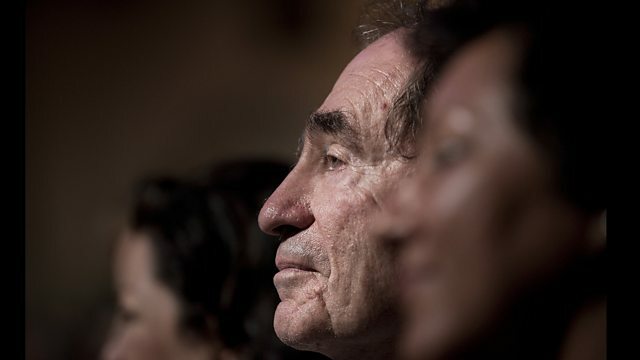 Albie Sachs is a prominent figure in South Africa, a well-known fighter against apartheid, who paid for it with time in solitary confinement, exile, and hospital, after an attempt on his life. He trained as a lawyer in the 1950s, specialising in civil rights - and ended up as a judge, helping to write the new South Africa's constitution that recognised equality between blacks and whites. Pooneh Ghoddoosi meets another artist at the Edinburgh Arts Festival - the Mexican-based musician, artist, and inventor Ariel Guzik. He has devised underwater resonance instruments to help him communicate with whales and dolphins. Laura Codruta Kovesi has been called the most feared woman in Romania. The 42 year old is in charge of the National Anti-Corruption Directorate and has already jailed one former prime minister. Now she's bringing corruption charges against the sitting prime minister, Victor Ponta - he firmly denies the allegations. Laura rarely gives interviews, but did agree to speak to Outlook. Jigme Drukpa grew up in an isolated mountain village in Bhutan. He learnt to play a traditional flute while looking after his parents' cows. He is now a world-renowned authority on traditional Bhutanese instruments and songs.